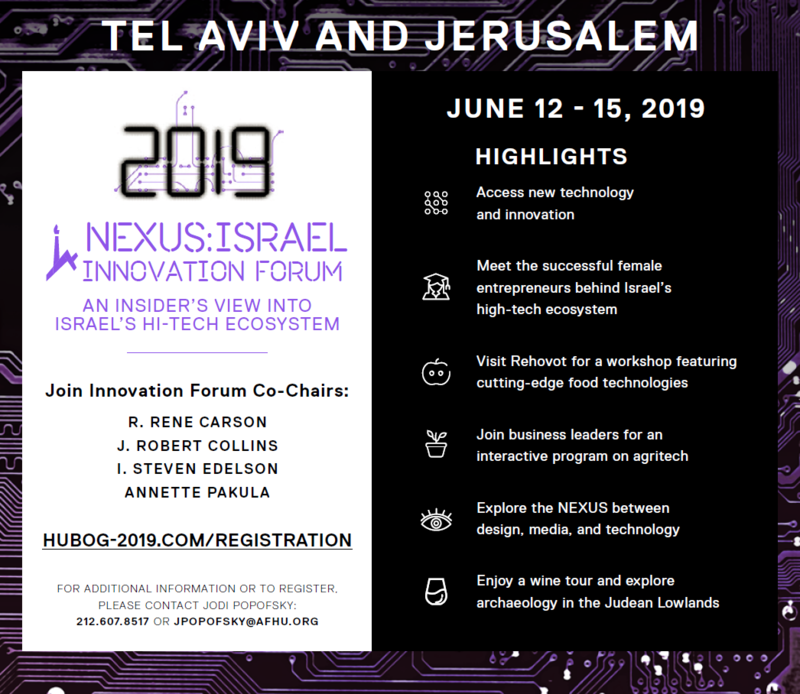 Join us for the NEXUS:ISRAEL Innovation Forum, an exclusive four-day trip beginning in Tel Aviv on June 12 and concluding in Jerusalem on June 15. Stay with us through June 19 and participate in the annual meeting of the Hebrew University Board of Governors in Jerusalem. For more information, contact Jodi Popofsky at [email protected] or 212.607.8517.